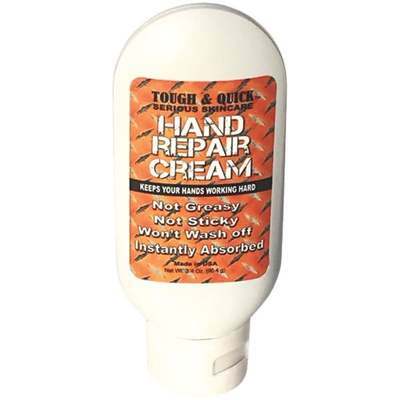 Tough & Quick hand repair cream is proven to quickly resolve severely dry and cracked skin. Soothes splits and cracks, stops itching and burning. Non-greasy and instantly absorbed. Allows skin to heal and restores skin moisture. Hypo-allergenic, long lasting, and unscented.